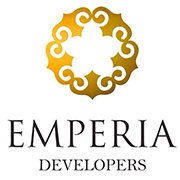 Emperia Developers Has Earned A Reputation For Building Exceptional Custom Homes And Custom Home Communities In The Navi Mumbai Region Mumbai Area. We Are Proud Of Our Homebuilding Tradition, And Of Our Work In Mumbai. Committed To Excellence, We Build Homes Whose Elegance Is Matched By The Spectacular Beauty Of The Mumbai Landscape. In Addition To Our Commitment To Superior Engineering, We Are Equally Proud Of Our People. Some Of The Most Talented And Creative Professionals In The Industry Work At Information Builders And Are Passionate About What They Do. In Fact, The Professionalism And Tenure Of Our Employees Is Often Cited As A Major Differentiator By Our Customers. Builders Is A Leader In Commercial Development. Each Year We Complete Projects With Cutting-Edge Technology, Innovation, And Efficiency. More Than Two Decades Of Combined Experience Enables Us To Apply Our Insight, Experience, Intelligence And Resources To Help Clients Realize Their Real Estate Vision. The People Who Make Up The Team At Different Construction Company Embody Our Values Of Strength, Performance And Passion. Our Employees Have Strong Connections To These Ideals, Which Has Contributed Significantly To The Progressive Growth, Success And Leadership Of Our Company. They Have Helped Us Develop The Solutions, Systems And Project Methods Required Bringing Innovation, Quality And Value To The Projects We Deliver For Our Clients. Our Greatest Competitive Advantage Is The Expertise And Passion Of Our People. We Are Motivated To Achieve The Elements Needed To Provide Project Success And Build Structures And Roadways That Will Leave A Lasting Impression For Our Clients, Our Society And Our Communities.